Peyton Siva is not slowing down. After leading ALBA Berlin to victory in the quarterfinals as both the Game 3 MVP and the Quarterfinals MVP, Siva produced his best game of the season in the semifinals opener to earn Semifinals Game 1 MVP honors. 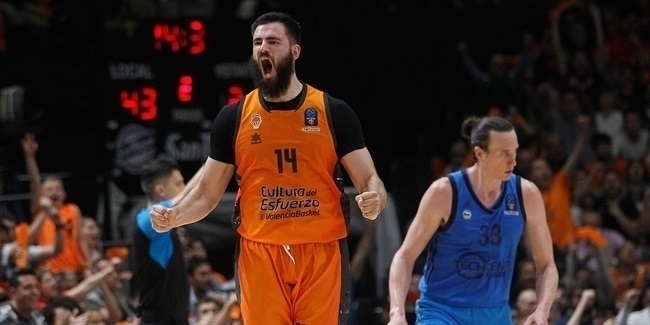 Siva was virtually unstoppable as ALBA outlasted MoraBanc Andorra 102-97. The point guard scored 18 points on near-perfect shooting and dished 9 assists in compiling a performance index rating of 32, which was both a season-high and the best of the 42 players to compete in Game 1 of the semifinals. He made both of his two-point shots, was 3 for 4 on three-pointers and perfect in 5 trips to the free throw line. Siva also collected 4 rebounds and 2 steals. The second-highest PIR in Game 1 came from his teammate Luke Sikma with 22 behind a 20-points, 7-rebounds and 6-assist effort. Valencia Basket's Mike Tobey was third with a PIR of 19 thanks to 14 points, 6 rebounds and 3 blocks. The MoraBanc Andorra duo of Andrew Albicy and Jerome Jordan rounded out the top five with PIRs of 18. Sikma was the top scorer in Game 1 of the semifinals with 20 points. Jacob Pullen of Cedevita Zagreb is the top-ranked scorer this season with 15.3 points per game. Reggie Upshaw of MoraBanc was the top rebounder in semifinal openers with 10 boards. Jalen Reynolds of Zenit St. Petersburg leads the EuroCup with 8.1 rebounds per game for the season. Andrew Albicy of MoraBanc dished 12 assists, the most in semifinals Game 1s. Albicy moved into second place on season charts with 5.9 on average, behind only Joe Ragland of Crvena Zvezda mts Belgrade who is the season leader with 6.0 per game. Four players had 2 steals: Siva, his ALBA teammate Rokas Giedraitis, moraBanc's Rafa Luz and UNICS' Raymar Morgan. Javonte Green leads EuroCup in steals with 2.5 per game. Tobey had 3 blocked shots, more than any player on Tuesday. Mathias Lessort of Unicaja Malaga tops the shot-blocking rankings for the season, with 1.3 blocks per game. 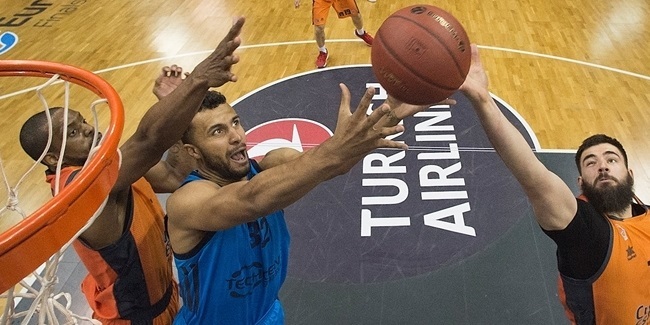 Albicy had the lone double-double in the semifinals with 14 points and 12 assists.